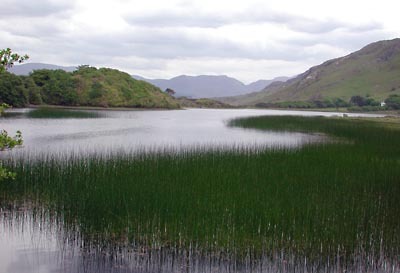 After returning to our car, we drove up the R344 to Kylemore Lough. 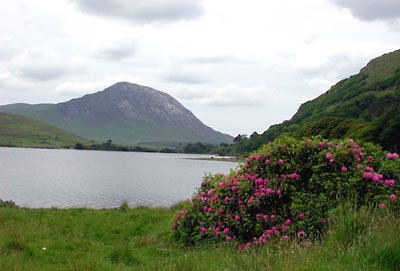 Kylemore Abbey is located on the shores of Kylemore Lough. The neo-gothic building was erected for a wealthy English businessman who had fallen in love with the region on his honeymoon. 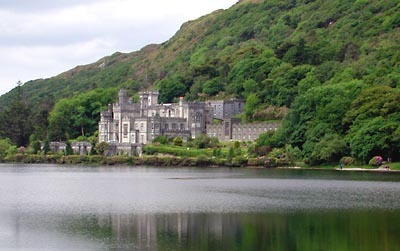 During WW1, a group of Benedictine nuns from Belgium took over the place and turned it into an abbey. Today, they run an exclusive boarding school. 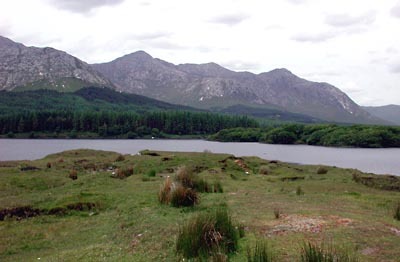 Our next stop was Connemara National Park near Letterfrack on the N59. 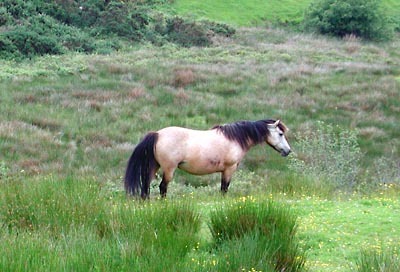 We walked one of the nature trails starting at the visitor centre where we saw some Connemara Ponies. 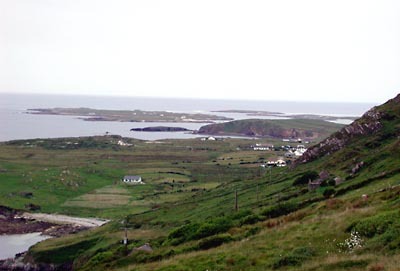 We followed the N59 along the coast, eventually taking us into Clifden. 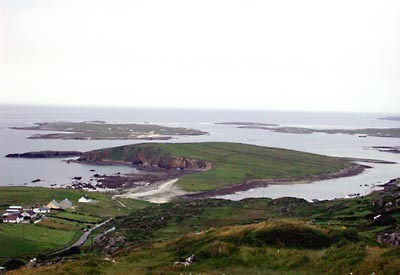 From here, we took the Sky Road out to the small settling of Kingstown, taking us through some beautiful coastal scenery. 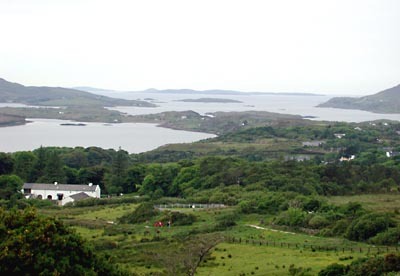 Leaving Clifden, we followed the R342 coastal road to Roundstone where we had dinner at the Elston Hotel. 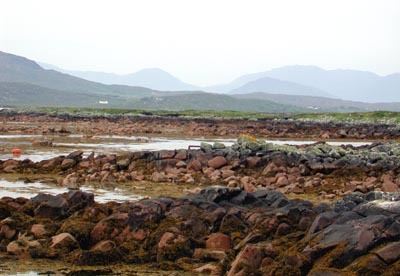 After dinner, we explored some more of the coast line by following the R340 from Recess via Carna, Kilkieran, and Gortmore, eventually taking us back on the N59 near Maam Cross.